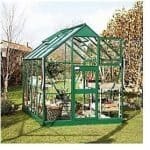 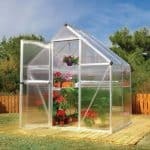 This 10 x 8 apex greenhouse has a high apex roof. 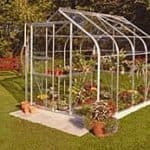 You therefore have much more head height inside the greenhouse than you normally would, and this really helps because you can move about easily, as well as use taller plants and equipment. 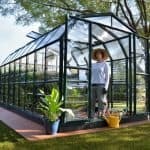 The curved eaves are also higher up, and they are protected by UV acrylic, so your greenhouse has a barrier against UV rays. 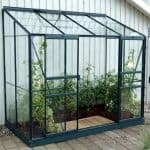 You can have traditional glass or toughened glazing in this greenhouse, and this is a good indicator of the flexibility you can expect when using it. 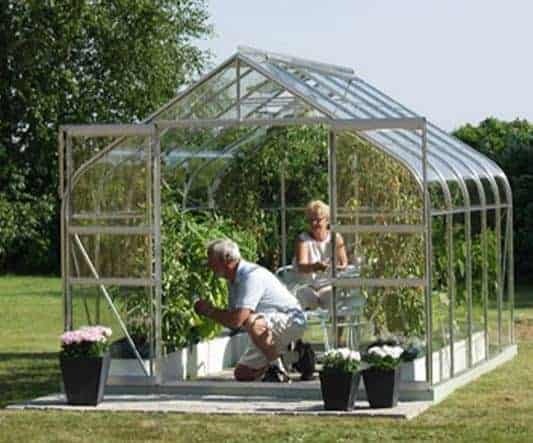 Perhaps the biggest benefit of the greenhouse is the width. 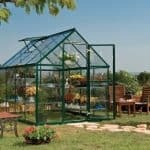 It is very wide and therefore provides you with plenty of room in which you can organise your plants.